Looking for a hip way to show your heritage? Here are 9 modern ways to display your family tree. Speaking of the number nine, here are 9 creative DIY headboards to try. And while you’re feeling crafty, This DIY doorway puppet theater would be so much fun for lazy summer afternoons. Or maybe one of these 19 craft projects for summer. 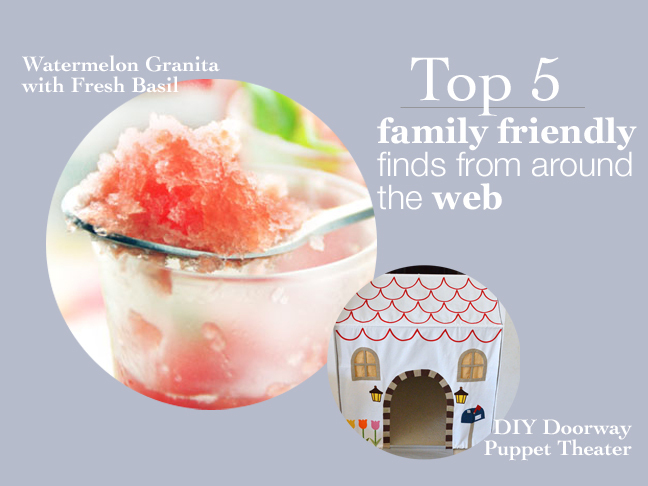 Finally, when all those creative and decorating energies are spent, cool down with a watermelon granita.